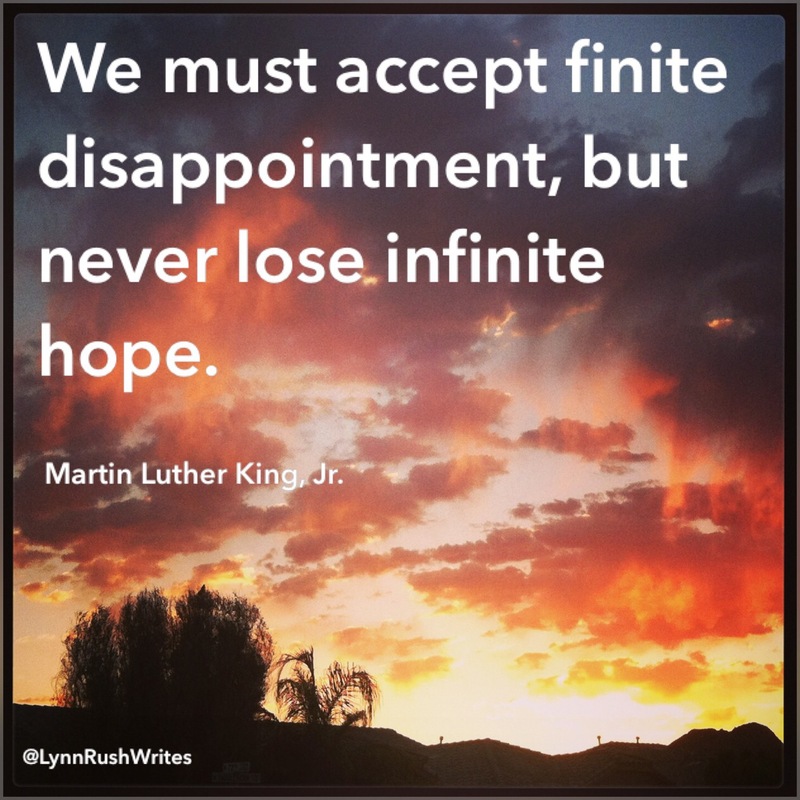 We must accept finite disappointment, but never lose infinite hope. ~Martin Luther King, Jr. This entry was posted in Quotes and tagged Hope, quotes by Lynn Rush. Bookmark the permalink.